You are here: Home / Miscellany / Birthday Present Fun! I got some pretty awesome stuff for my birthday this year and I wanted to show it off. I have a hard time thinking of things I want, I can always think of a dozen things to get the girls though. I was able to come up with one thing to tell Josh I wanted, a Bluetooth keyboard for my iPad Mini. He did a lot of research and picked out the Logitech one and I absolutely love it. There is a slot to put the iPad in so it can function like a laptop, and the keyboard doubles as a cover. It’s really nice to type on, but I do have a habit of hitting the home button on accident because things are shifted a tiny bit from a normal keyboard. I know it will just take a little time to adjust and I’ll be golden. It’s made writing blog posts so much easier. 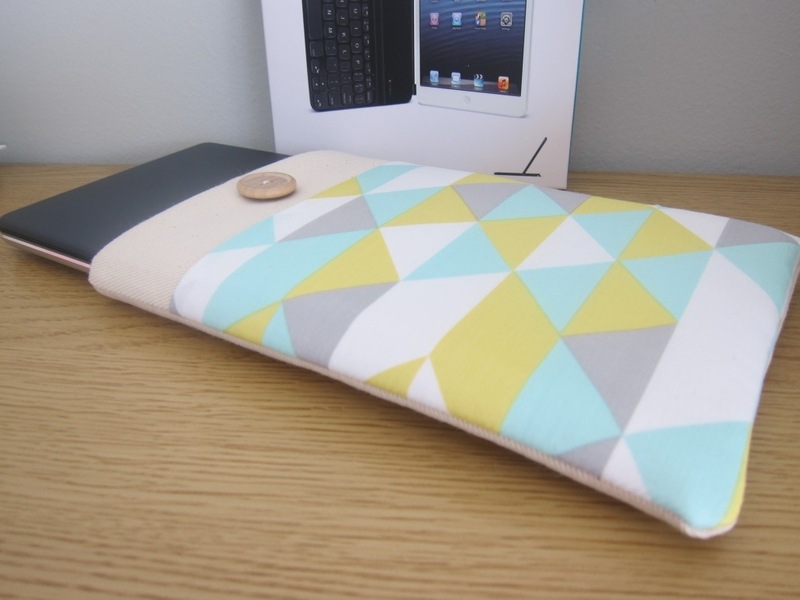 She makes them custom to fit any device, this one was specially made to accommodate the extra thickness the keyboard adds. 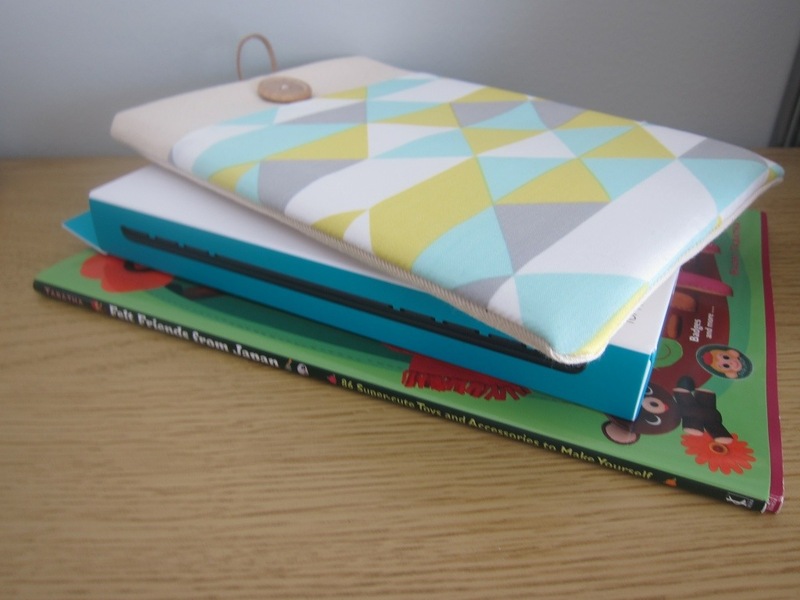 The fabric he picked out is awesome and the case is really well made and the iPad feels very well protected. I got various Amazon credit and cash and I immediately ordered some craft books I’ve had my eye on. First, I got Mollie Makes Crochet I saw the magazine in Barnes and Noble and it looked so cool, but since it’s a UK publication, it was so expensive. They have a couple other books that looks great too, but I picked the crochet one first. 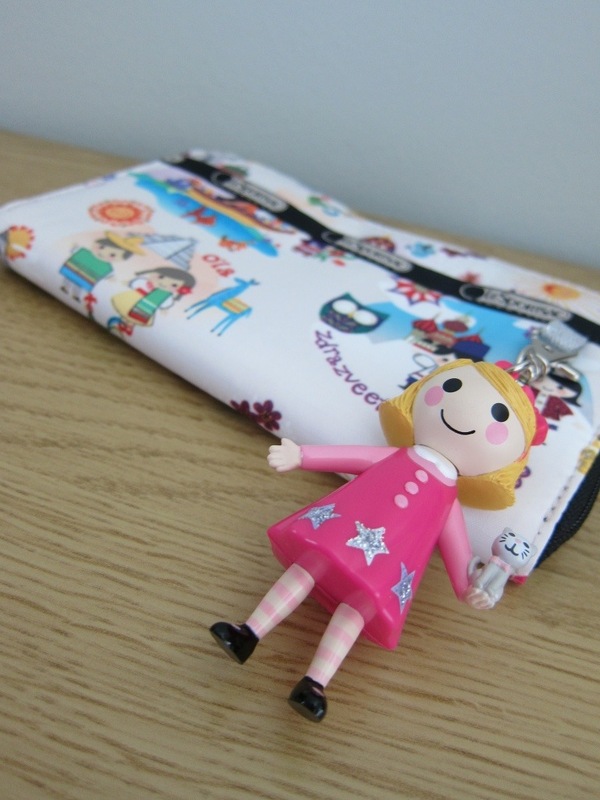 Next, I got Doodle Stitching Embroidery and Beyond. I have the first Doodle Stitches embroidery book and it’s really well done, and I was really excited about the addition of cross stitch and some other techniques. The last one I picked out was Quilting Happiness. I have been obsessed with looking at quilts on Pinterest and I couldn’t resist this one. I’ve never made a quilt before but I really want to start one soon! The Felt Friends from Japan book was one that Josh picked out for me. 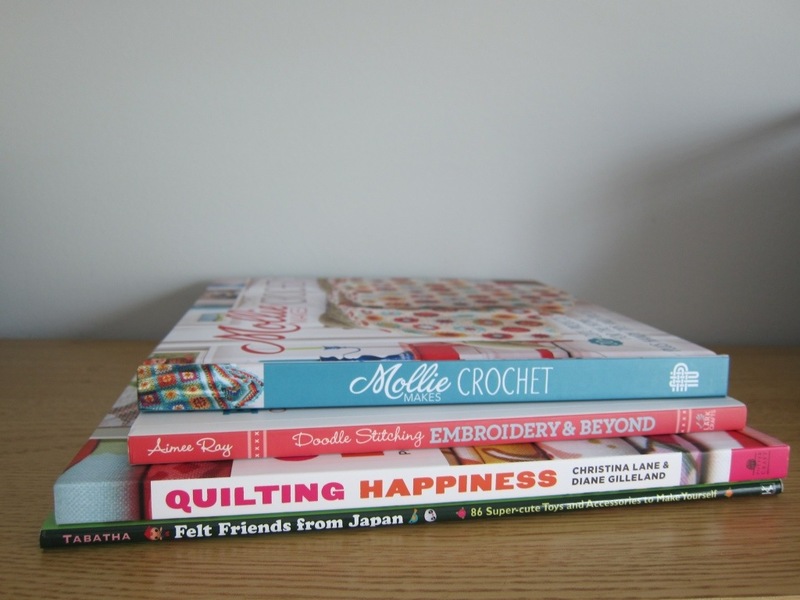 I love all these books and want to make so many things, but I can’t decide what to start with! On my birthday we stopped at Designers Desk, a needlework store in downtown Geneva. The girls stayed in the car with Josh and I just ran in to check it out, but I did leave with a few things. They had huge spools of different colored canvas that you could buy by the square inch. I couldn’t resist this aqua color and this black with metallic accents. 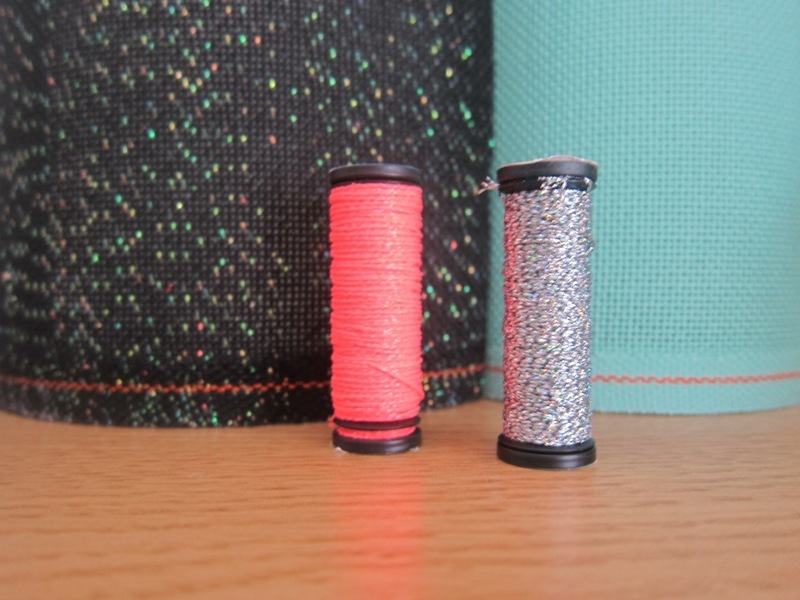 Mr. X Stitch has mentioned Kreinik thread before but I had never seen it in stores before. I picked out a couple to try out to see if I like working with it. I want to go back in there when I have more time to browse because the store is enormous and has so much I could barely process it all! These containers were on clearance at Target. The odds & ends one was $4, marked down from $12, and the small things one was $6, down from $12. 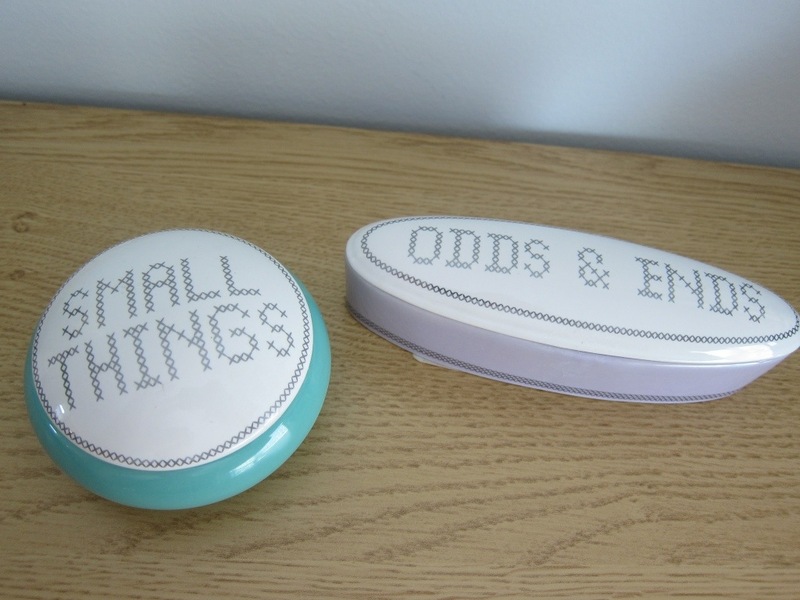 I am not sure what I’m going to put in them, but I couldn’t pass up something with a cross stitch font! 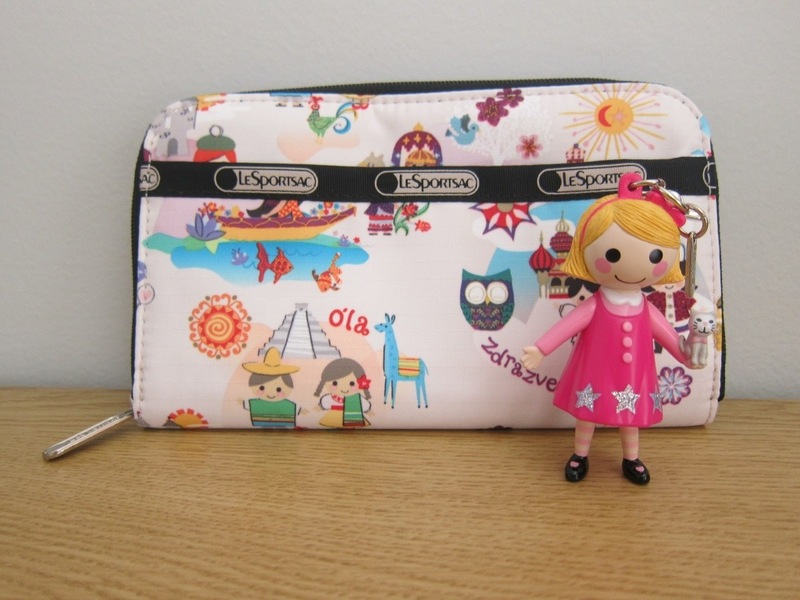 I love Mary Blair and Small World, so when LeSportsac came out with the Small World line I was so excited. I have a couple things from the other collections, and I got this wallet from the collection that was just discontinued. It was an extra 25% off which sealed the deal. This past weekend we went to Renegade Craft Fair in Chicago, and I spent some more birthday money there. I will be showing all of that off soon! I love it all, but I got so many craft books and supplies that I don’t know where to begin!